On July 4, 1931 Quincie L. cook was born to the late Mr. Artie and Vance (Kelly) Cook. He transitioned from this life on Earth July 13, 2018. Quincie confessed a hope in CHRIST at an early age and was baptized in Christian fellowship with Antioch M.B. Church under the leadership of Rev. Robert Smith. He was an active member of the American Legion and Masonic Lodge. He served in the United States Army and returned to graduate from Line Street High, Ripley, MS.
Quincie was united in holy matrimony to Mrs. Mary H. (Gray) Cook on July 4, 1958. To this union one daughter and one son were born. He was employed with Blue Mountain College,Tippah County Sheriff Department and retired from Woodcraft. Quincie enjoyed baseball, fishing, hunting, and lounging outside to wave/greet all who passed by. 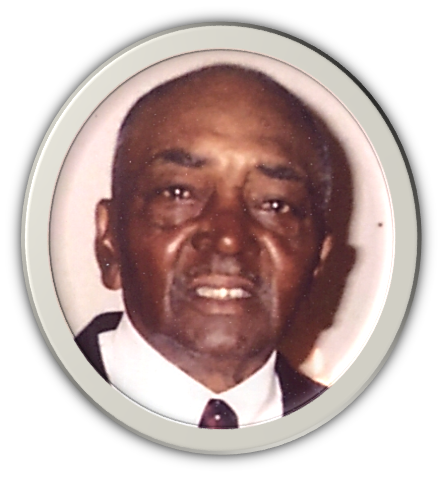 Mr. Quincie's memory will be cherished by his loving devoted wife of 60 years, Mrs. Mary H. Cook of Blue Mountain, MS: a daughter, Mrs. Helen Bails (Gilroy Jr.) of Ripley, MS: a son, Mr. Randy L. Cook of Blue Mountain, MS; Four (4) grandchildren: Fabian Bails, Derek Edgeston, McKenzie and McKayla Clark and one (1) great-grandchild, Abian Edgeston; in-laws: Ms Ruby Cook, Ms. Lottie Cook, Mrs. Juanita Carruth (Sammie), Mrs. Annie Marsh (Billie), Mr. Roosevelt Gray Jr. (Mary), and a host of nieces, nephews, cousins and friends. He was preceded in death by his parents; two (2) sisters: Mary Ellen Fryar and Dorothy Golston; five (5) brothers: Willis Cook, Luther Cook (Inez), Henry Thomas "H.T." Cook, Charles Henry Cook, and Thomas Junior Simmons "Babe". Visitation will be held Tuesday, July 17, 2018 from 12 noon – 8 pm at Foster and Son Funeral Home in Ripley, MS, with the family present from 6 pm- 8 pm. Service will be held Wednesday, July 18, 2018 at 1 pm at Antioch Missionary Baptist Church in Blue Mountain, MS. The body will lie in state one hour prior to service. Interment will follow at Academy Cemetery in Blue Mountain, MS. Services entrusted to Foster and Son Funeral Home of Ripley, MS. To view and sign the guest registry, please visit www.fosterandsonfuneralhome.com.